Hearing that you have been diagnosed with breast cancer can turn your world upside down. 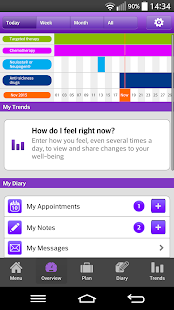 The OWise breast cancer app can help you regain control during the chaotic times of illness and treatments. 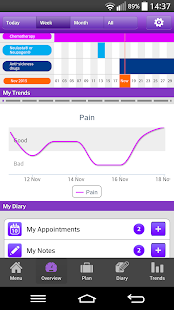 It enables you to keep all your information about your situation together in one place and gives you a clear overview and personalised information to help you in discussions with your doctor and with the decisions you need to take. With the OWise breast cancer app you can. 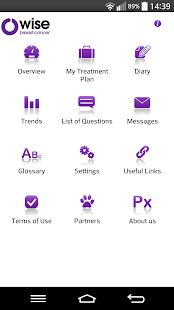 Receive personalised information regarding your treatment. Track and trace how you have been feeling. Generate insights into your wellbeing. 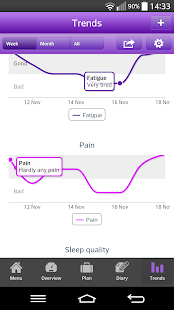 Share graphs representing your wellbeing with your doctor/nurse. 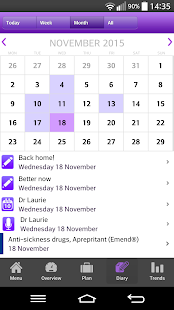 Receive a customised list of questions to help you prepare for doctor visits. Record important conversations with your doctor. Keep all information organised in a lockable diary. 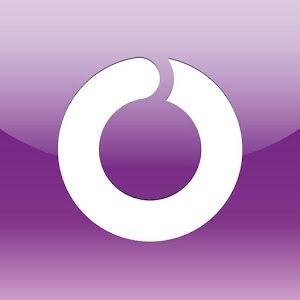 Access your information on your smartphone, tablet or computer-on the go or at home.The OWise breast cancer app is CE-marked. It has been developed by Px HealthCare Ltd., an R&D organisation focused on improving the treatment and clinical outcomes of cancer. By using OWise you support medical research aimed at helping other breast cancer patients in the future. 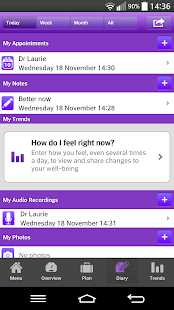 Please read more about the OWise breast cancer app, the research and the privacy protection policy on the website: www.owise.uk.